Welcome to the Badgers Class. The Class Teacher is Mr Shortland and the Teaching Assistant is Mrs Wilson. WOW! What a great day we have had! The Badger Class looked amazing today as we dressed up in our favourite book characters. The children were able to explain who their character was and why they were their favourite character. We even had our very own Mary Poppins! In the afternoon, we listened to stories read by different teachers around the school which allowed us to share our love of reading! Well done Badgers! You look supercalifragilisticexpialidocious! During our STEM week, we started to create our car. Our main focus of the week was designing the outer shell of our vehicle with various designs such as boats, cars and a rocket! We presented our designs to an engineer who gave us expert advice and we made changes. Our PSHE focus was all about teamwork and recognising what makes a good team. Watch this space for updates on our finished vehicles! For our STEM Parental Engagemeny afternoon, we experimented with Non-Newtonian Liquid which is made out of Cornflour and water. What is so unique about this experiment is when you touch the liquid, it turns solid but once you hold it, it turns back into a liquid. After the experiment, we enjoyed sharing all our hard work with our parents during STEM week. McDonalds in Boston donated some cups and lids for us to use during our Christmas Fair, so that we could serve our Anglo-Saxon/Viking Soup. As a thank you, all of the Badger Class wrote a letter to the staff at McDonalds to say thank you for their generous gift and for helping us in our time of need. Here we have Zach and Tayla-Mai presenting the letters to the manager of the store. Today was our Christmas Party Day! We started the afternoon with a mini disco in the hall where there were party games and a dance off between the boys and girls (it was a draw). Then as we came back to the classroom, Santa came to visit and gave us all a selection box to take home. 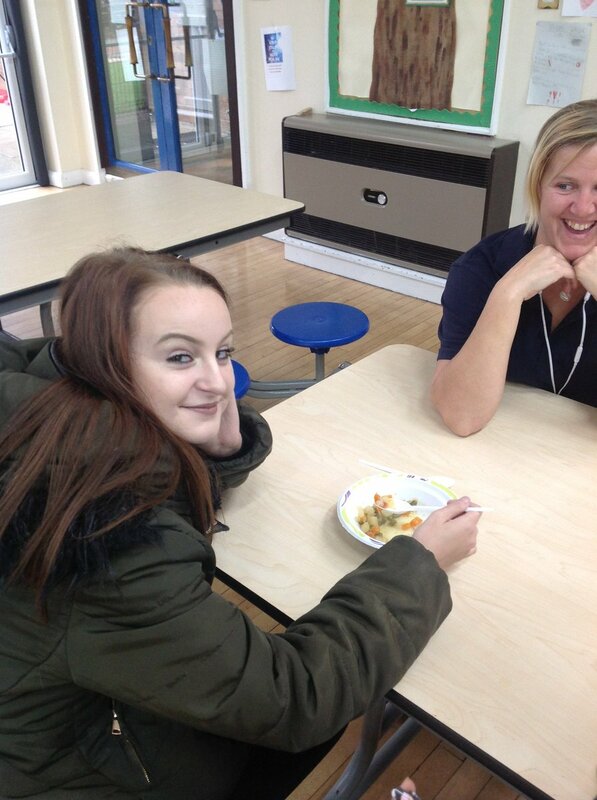 We then sat and ate our party food together and enjoyed spending time with one anothe. Finally, we played a game of pass the parcel where we all received a gift. Today, we sold our amazing products at the Christmas Fair that was held after school. The children all worked so hard to produce the Hot Chocolate Reindeers, Anglo-Saxon/Viking Soup and the Pin the Pom-Pom on Santas Hat. Overall we made £40! Well done Badgers! This afternoon, our children amazed us at the church as they performed their Christingle service. Jake, Karmelle, Kaylen and Lucie read a passage from the bible fluently and clearly which retold part of the Christmas story. During the service, we lit our Christingles that we made earlier in the week and reflected on the meaning of Christmas and what the Christingles represented. 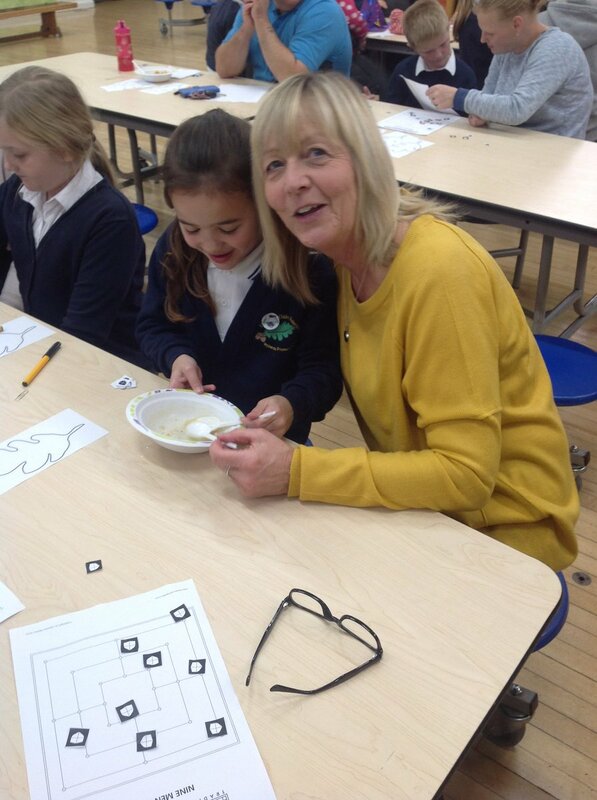 Today, we welcomed our parents and grandparents into school to help us with our hoop decoration. We developed our sewing skills by first using the cross stitch to sew on our buttons and then we used the blanket stitch to join our felt together. Before we sealed the shape, we made sure we stuffed our shape using stuffing and then we stitched a ribbon on the top so that they can be used as tree decorations when they go home at the end of the term. A big thank you to all the parents and grandparents that came to help us and we hope you enjoyed the mince pies! Today we celebrated Children in Need by wearing spotty outfits. 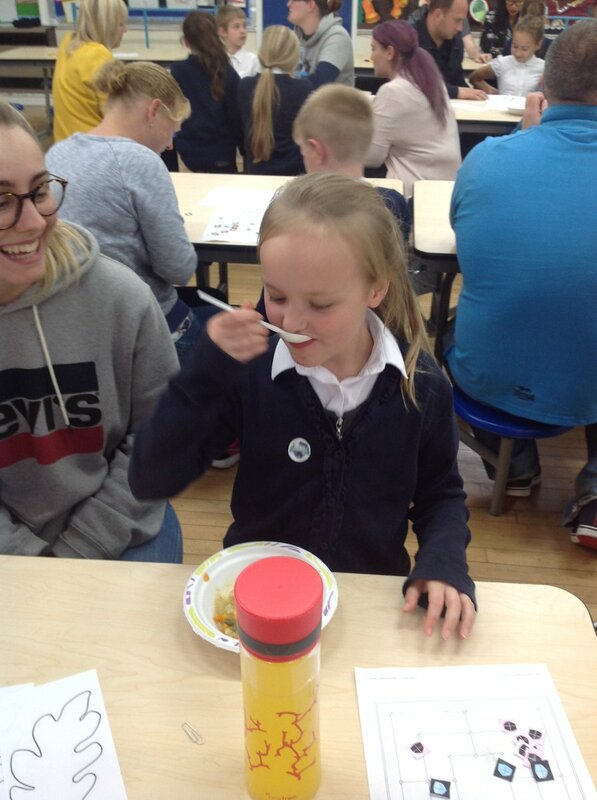 We had a great day which ended in a cake sale after school. 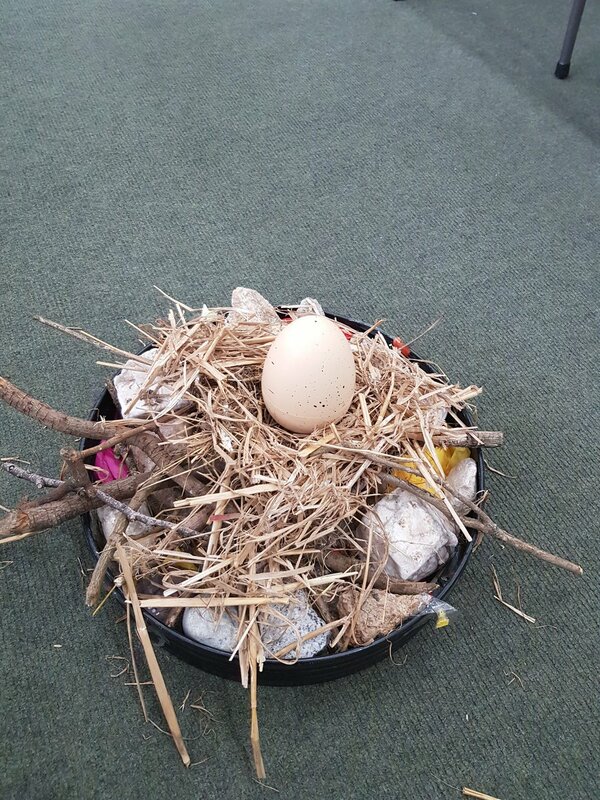 The children have predicted that it belongs to an egg. Maybe we have to check the security cameras??? Wow! 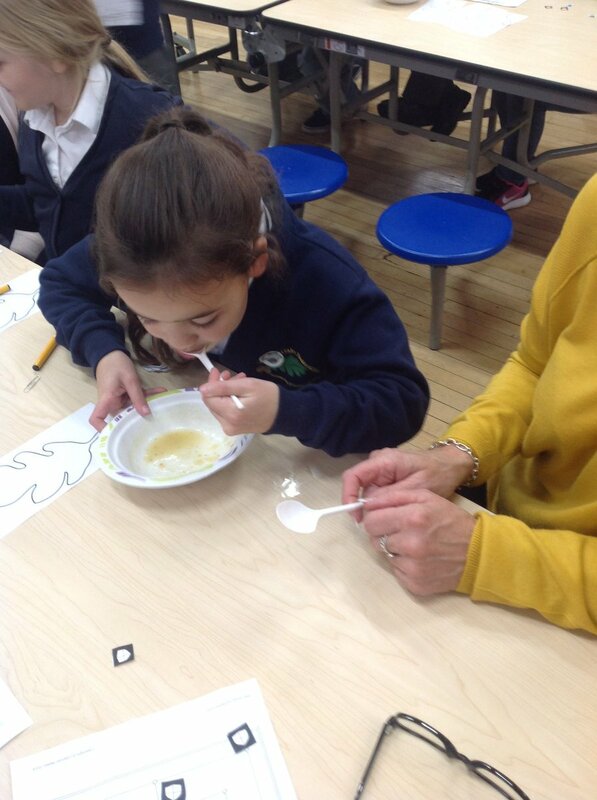 What an incredible afternoon we have had where our parents tried and evaluated our soup in our 1st parental engagement afternoon. We played Nine Mens Morris game and sung some ABBA songs. Thank you to all the parents for coming to support the children. 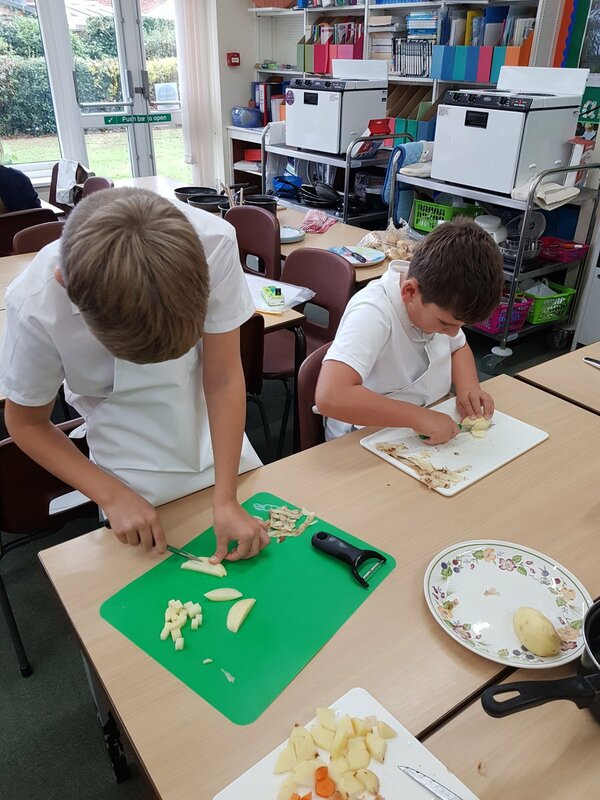 The food preparation for our Anglo Saxon afternoon. 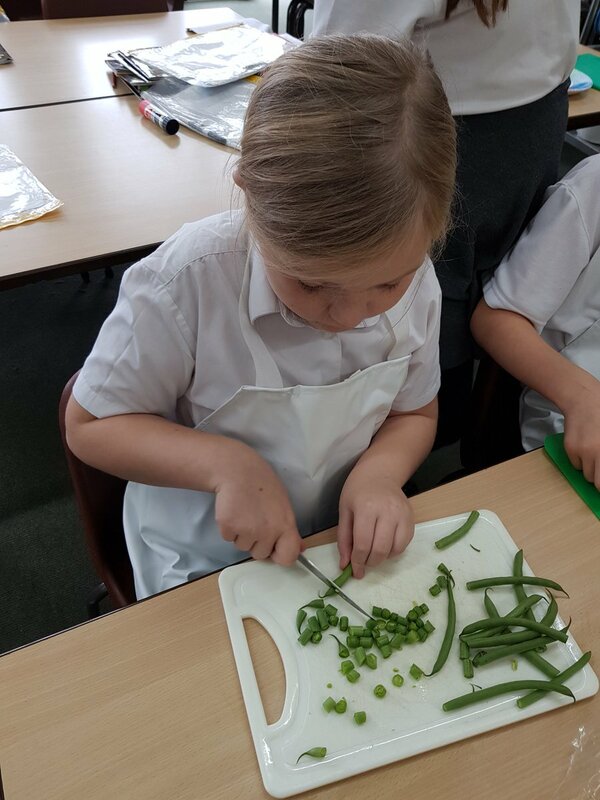 We sliced, diced and peeled vegetables. 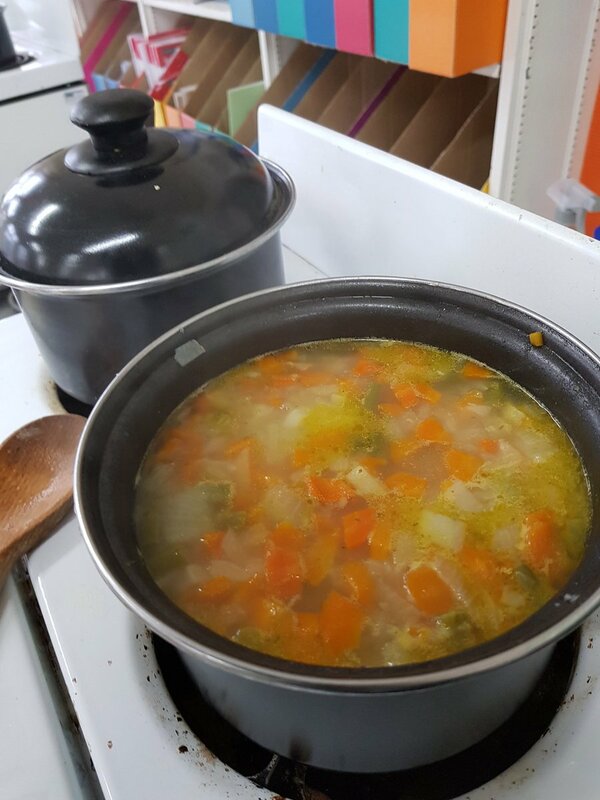 Our classroom smells so delicious! What a day we have had! We have travelled back in time to the Anglo-Saxon period as we visited the West Stow Anglo Saxon Museum at Bury St Edmunds. Here, we had a chance to experience life as an Anglo Saxon as we visited various houses that the Anglo-Saxons would have lived in. In one of the houses, a fire was lit to provide warmth and to provide food for the Anglo-Saxon families. In the workshop, there was a wood carver who demonstrated how to carve wood by using a log off a tree as a pedal to spin the carver. At the end of the morning, we were summoned to the Village Hall where we could ask questions about how the Anglo-Saxons lived. Today, we imagined that we were Anglo-Saxon farmers who had been seperated from our cattle by a wild river after a very big storm. We needed to get across the river to check that the animals were ok, but we only had 'rocks' to help us. We all thought about how we could cross the river using the 3 rocks that we conveniently had. The decision was simple, teamwork to move the rocks across the river in our groups ensuring that we used effective communication and teamwork to pass the rocks between us to reach our cattle. 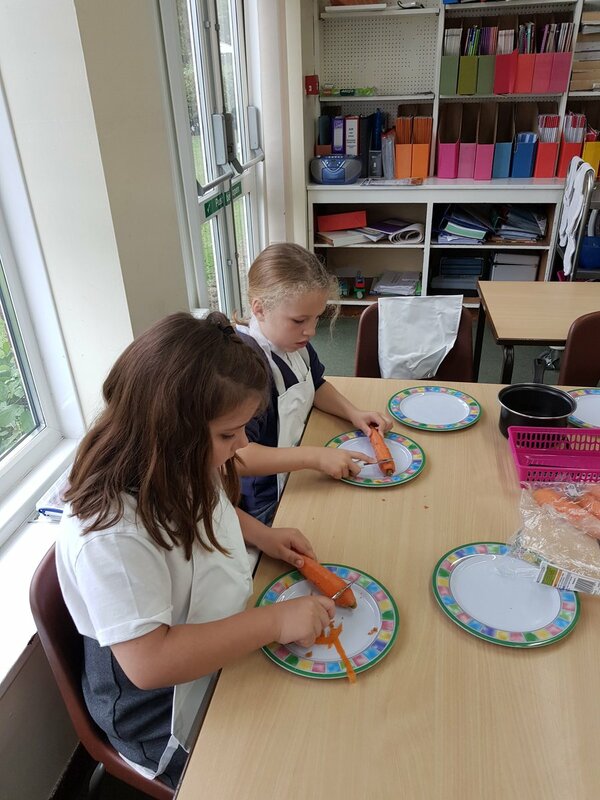 Welcome to Year 4 Badger Class. We can't wait to share our amazing learning and share our experiences with you on our class page. Throughout the year, we are going to be curious historians, amazing artists, inquisitive scientists as well as working hard to be the best that we can be. Here is a picture of our animal display which we did during our transition week at the end of last term. We researched all about Badgers and found out lots of interesting facts such as where Badgers live and the different type of species. Did you know a Badger lived in a Sett which is an underground burrow? In our display, we are all in our Sett to represent that we are a family in Badger Class and together we are safe in our environment. Quick, quick....call the fire brigade! Mr Shortland is trying to burn the classroom down! There is a fire in the middle of the room! The children were surprised to enter the room to see that the classroom had been transformed into a Longhouse with a roaring fire in the middle of the classroom (and on the board). The reason for the sudden transformation was to launch our Anglo-Saxon topic and to introduce our book that we will be focusing on during our English lessons for the next 3 weeks named 'Beowulf' by Micahel Murpurgo. We used the candles as a way to provide light to read the powerful introduction to Beowulf to discuss how it hooks us in to read more!